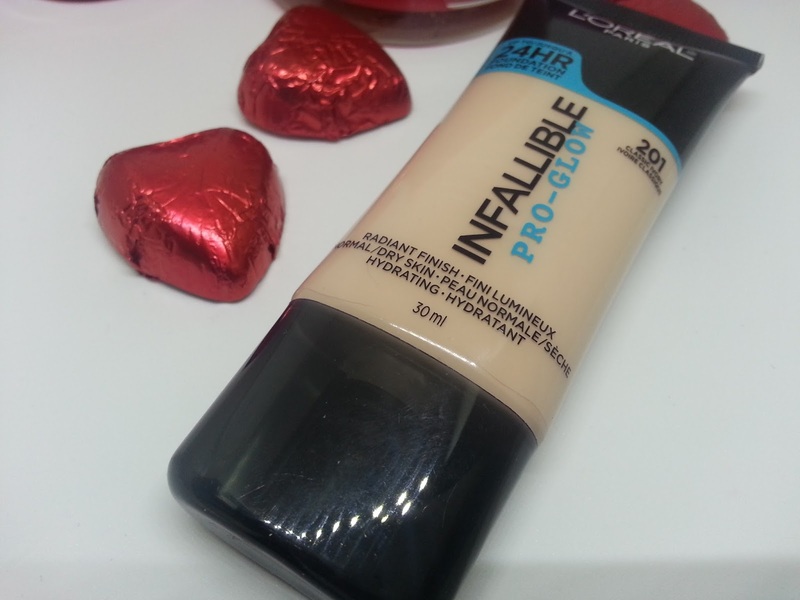 This L'Oreal Infallible foundation received a lot of hype when it first came out. Especially the original matte version. Once I heard there was a "glow" version, I decided I needed to give it a try. Plus it was available at Walmart, which made it easy to grab when running errands! I picked up the shade 201 - Classic Ivory which is the lightest shade it is available in. I usually have a hard time with foundations from drug stores because they are never light enough, and almost always oxidize to an orange shade on me. Which, is not pretty, as you can imagine. Long wear without compromise. 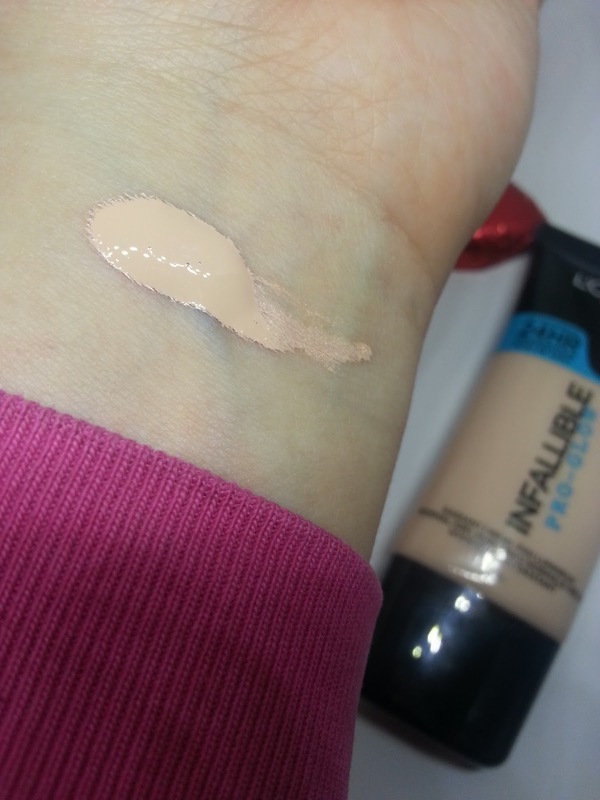 Introducing the new pro-look of long wear, Infallible Pro-Glow. This long wear foundation gives a radiant finish with an all-day hydration and comfort. Achieve a lasting glow that is never dull, never greasy with this air-light, 24H foundation. 30mL is $16.96 at Walmart. I have to say, I had a huge love/hate relationship with this foundation in the beginning. 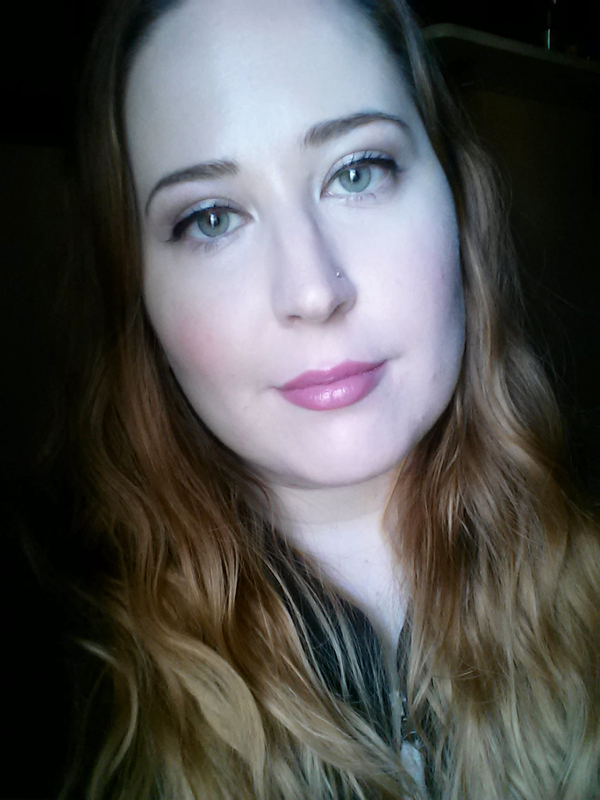 I found that it applied patchy, it soaked into my skin making the foundation look like it was applied unevenly. It didn't matter how much or how little I used, it just didn't look nice on my skin. And this was applied with a beauty blender. I gave up on it, and decided that I didn't like it. Then I made some changes. I stopped applying it with a damp beauty blender and started to use the Crown Pro - Round Contour Brush that came in the May Boxycharm. I was also using the Drunk Elephant T.L.C Framboos Glycolic Night Serum every night, and that was making a huge difference in my skin texture. And with those two changes, my foundation applied so easily, and there were no more patches! And best of all.. my skin stopped drinking it up, and making it look uneven. I'm so happy that I made some changes, and gave it another shot. It's easily one of my favourite foundations now. I like how the finish leaves some glow to your skin, it doesn't make your skin look dry. It can easily be set with a powder, or left on its own. Sometimes it takes trial and error to get a product to work! I'd recommend this foundation to anyone who prefers a glowy foundation, and who has normal or dry skin. I do wish it came in half a shade lighter, but once it's blended out, it's really hard to tell that it isn't a perfect match for my skin. And best of all, it doesn't oxidize!